Two years ago I predicted the Philadelphia Eagles to reach the Super Bowl and they went and lost the NFC Championship to the powerhouse that was the Arizona Cardinals. This season I listened to many ‘experts’ thoughts on podcasts, read many blogs and my gut feeling with Kevin Kolb as the Philly QB was that the Eagles would finish badly – around 5-11 or 6-10. Then the dog killer Vick (am I the only one who remembers this) comes in for an injured Kolb and looks like a human Madden video reel. Then tonight to top it off pint-size dynamo DeSean Jackson signals ‘bring it on’ with his hands whilst waiting for the punt with 14 seconds left in a tied game. To make the play even more dramatic he decides to fumble the ball, and then like a bullet he runs through the Giants punt return team and has the brains to run along the one yard line before scoring the winning TD with 0.00 left in the game. If this isn’t a sign that the Eagles are gonna win the Super Bowl then god only knows what is! This weekend belongs to Ray Lewis and the Ravens - my upset special against an 'on paper' better team. After two rounds of hitting and high fives I have managed to get six out of eight playoff winners correct, and this means I did predict the Ravens, Eagles and the Steelers to reach the final four. Where I messed up and where I suspect the rest of the world messed up was not giving enough respect to the Arizona Cardinals. Yes the Arizona Cardinals – a team historically so inept they can talk long into the night with the Detroit Lions and still feel bad. Say it in your head, or say it out loud – the Arizona Cardinals are JUST ONE game away from the Superbowl. It sounds like some sort of joke, or maybe something that you can only witness when playing John Madden on your console, but no this is real, and in about 30 hours the Cards HOST the NFC Championship game against the wily Philadelphia Eagles, so that is where my prediction will start. On the surface this is a battle between Donovan McNabb (one Superbowl played one loss) and Kurt Warner(two Superbowls played one won one loss) to show which veteran quarterback has the intestinal fortitude to lead their team to the promised land, but this game will come down to the brute strength and blocking power of the offensive and defensive lines – as they will be the guys pressurising or protecting Mc Nabb and Warner, and the ones making the gaps or shutting down the run. Both McNabb and Warner were sacked an average of less than twice a game, so both offensive lines are solid but are able to be exploited. The real key is that McNabb is more likely to take a sack and keep possession of the ball. Cardinals have looked awful at points this season when Warner has spilled the ball, and I think the Eagles will dial up the pressure throughout the game. 1) The Cardinals need to get 120 yards rushing to stand any hope of winning this game, and this does not necessarily mean 100 from Edge – it could be 65 for Edge and 55 for Tim Hightower who looks to be swimming in shark infested water at the moment. 2) The Eagles WRs need to make a statement early that they can be difference makers. Kevin Curtis and DeSean Jackson can both have huge games but someone like Reggie Brown or Jason Avant could be the player to break the game open as they will get single coverage. 3) Neil Rackers needs to be there and come through in the clutch. He has gone from fantasy gold to an after thought, and this game could come down to a kick. David Akers has the NFL post season consecutive completed fg record. Rackers has never been to a championship game – will it overawe him or will he become a hero. 4) Brian Westbrook . He has had a rather quiet post season, so is this the game he busts out of his funk? YES in my opinion it is. Westbrook has more talent than Edgarrin James but has so far not been the multi dimensional weapon that he has been in the regular season. Providing he has 15 touches each half this could decide the game. 5) This game comes down to the Eagles secondary beating up on the Cardinals wideouts, and despite the hype surrounding Fitzgeral and Boldin this is where I think the game will be won for the Eagles, who will pick off Warner three times. The Ravens have shown that the formula of Defense Defense Defense is enough to mask any offensive deficiences. Only one problem its exactly what the Steelers have in their very own test tubes also. On paper he Steelers have the all round talent and also are the most recent of the final four to win a Superbowl, and the last time they did it they had Ben Roethlisberger who will again be under center for this bruising affair. The 2008 season will be remembered as the Wild Card winners Superbowl as I think the Ravens will get revenge against a Steelers team that is going to be thinking it is the better team right now. I expect this game to be as ugly as the Titans v Ravens game last week – but for the defensive purist this will be a thing of beauty. 1) Flacco has to be a handoff robot. If Joe Flacco wants to be the first rookie qb to start in a Superbowl then he needs to be disciplined and listen to his coaches instructions. This is what has got him this far, and despite a pass rush that will be scarier than being stuck in a lift with Plaxico Burress and an AK-47, if Flacco stays disciplined this could be his ticket to immortality. 2) The emotional impact of Hines Ward. Whilst the linebackers of the Steelers have been the highlight reel champions the Steelers go as far as Hines Ward’s catches. He is destined to go to the Hall of Fame (and I am no terrible towel waver) and he can ignite Heinz Field with a crucial 3rd down conversion or a touchdown. Take him out early – no – take him out late. When the game is on the line that’s when the Ravens need to cover every blade of grass that Ward does. 3) The Steelers offensive line protecting Big Ben. Its all very well saying Willie Parker is gonna have another huge game – but you cannot get the running game going unless the pass is successful early. Look for Big Ben to try and pass the Steelers out of the blocks with some screens and te hitches. I think the Ravens D will be ready for this and an early pickoff will get Big Ben nervous. 4) Can Mark Clayton please show up. Derek Mason is a stud and deserves respect (I said last week he would be huge and he was) but he cannot win the game by himself as a WR. Fans will have Clayton as an afterthought but he does have the talent to change a game, and this in my humble opinion is where he will do it. 5) Todd Heap. It seems the real Todd Heap hasnt shown up for about 2 seasons, but when it counts Heap can be dangerous. He may not be the Todd Heap of old – but he can get 5 catches this game. If he does the Ravens win. Prediction – Baltimore 21-20 Pittsburgh – MVP – Ray Lewis 12 tackles and 1 INT. That leaves me with a Baltimore v Philadelphia Superbowl – Any thoughts ????? I went 3 out of 4 in the Wild Card weekend and even got an exact score (Falcons 24) so I have a bit of pressure on for the divisional playoff round. There are usually less upsets this round than in the Wild Card week but I have a feeling that the home teams will take a bit of a battering this Sat and Sun, so here goes, time to put my money where my mouth is……..
Kevin Mawae is out and that is huge. The veteran Titans C is the rock that has led the way for Lendale ‘who ate all the pies’ White and Chris Johnson to dominate 13 teams this season. No one needs to read here how good the Ravens defense is – but people do need to finally pay respect to Baltimore WR Derek Mason who has shown that he is one of the most reliable wideouts in the entire NFL. Can Ed ‘ball magnet’ Reed get another INT – most likely ! The Chargers are living the dream, and after using the pocket rocket Darren Sproles to kill the Colts. This time around the Sprolesmeister will have been on the Steelers radar. The Steelers D line is a lightyear above the Colts D line so Rivers will be forced to pass the Chargers up and down the field. Big Ben Roethlisberger has shown that he can guide a team through the playoffs, and I have a feeling that Pitt WR Nate Washington will come up with a huge catch that turns the game. I don’t expect a quality 1st half, but the Steelers have enough class to hang in there. Key 2) Can LT be any sort of factor in the game? Wouldn’t it be fun to see the Arizona Cardinals in the NFC Championship against a former NFC East division foe? Well I really want to write this will be a Cardinals win, but I just can’t. The hype given to Edgarrin James last week was nonsense. He got 73 rushing yards in a Wild Card game – so freaking what. If he got 173 then I would be saing wow. The Panthers have the all round quality to win this without going into 5th gear, but I am sure they will make a bit of a meal of it and Jake Delhomme will get intercepted at least once. Look to DeAngelo Williams to show his class on a national stage but Jonathan Stewart to get the fanatsy tds. There has to be one upset special each week and I’ll call it here. I do not think the New York Giants are a dynasty and despite their good record they will finally sucumb to a Donovan McNabb led team that will win a nailbiter. Brian Westbrook will get more involved early in this game, and Eli Manning will make a huge mistake in the 2nd quarter that will turn the momentum. Giants pressure will again be relentless, but the Eagles will gameplan against it, using short passing to neautralise the agression on Kiwanuka and Tuck. Expect it to be close, but expect the Eagles to leave Giants stadium with their playoff dreams intact. This is where it all matters, where all the effort means death or glory, over four or maybe even five quarters. I for one did not expect to see the Atlanta Falcons, Miami Dolphins or the Minnesota Vikings in the post season. As for the Eagles, Colts, Chargers and Ravens – I thought they were capable of making it to part 2. I also had a degree of expectation that the Arizona Cardinals could scrape a wild card, but with such a weak division they surprised many and won a home playoff game. Here are my predictions for the crazy crazy Wild Card Weekend………..
Colts to win 31-27 – This will be some revenge for Peyton Manning and his Colts, who were killed off by the Chargers in the playoffs last season. I have a feeling the Colts will jump out to an early 14-0 lead but the Chargers will then dominate right up until the final drive, where Dominic Rhodes punches the winner in from 3 yards away. Baltimore to win 23-10 – This will unfortunately be a proverbial wicked witch coming down from her broomstick to spoil the fairytale Dolphins season. Not a pretty game to watch the Ravens will rely on their running game with Rice and McClain showing that they have plenty left in the tank. Pennington will again be accurate but he will not have the time to get big 10 play 80 yard drives. Arizona to win 27-24 (OT) – This is my upset special even if the Cardinals are the division winning home team. Atlanta will look to establish the run with Michael Turner and the underrated Jerious Norwood (who I think could start somewhere like Denver). Kurt Warner will be expecting the pass rush from John Abraham, but with 3 1000 yard wideouts in his arsenal this will be the time for Anquan Boldin and Larry Fitzgerald to show that they are the top tandem in the NFL. Philadelphia to win 29-16 – Brian Westbrook will show the entire NFL world that he is the best all purpose back in the NFL, as he goes for 175 all purpose yards and two touchdowns. Adrian Petersen will show some potential, but the playoff pressure will get to him and he will ultimately be the second best back on the field. One of the no name Eagles wideouts will get a huge td – someone like Hank Baskett or Jason Avant – and that will kill off the Vikings. I didn’t exactly set the world alight with my week 1 predictions, getting only 7 of 15 right (including two exact team scores) but just like a maligned veteran qb, I’ll just dust myself down, and take another shot at the endzone. Kyle Orton and Matt Forte combined to produce the biggest upset of week 1 with a shock victory over the Indianapolis Colts, so there will be a certain amount of confidence oozing from the pores (paws even) of the Bears. They travel again in week 2 – this time to Carolina, and they have the ability to win, but I think this will be the Delhomme and Mushin Muhammed show, as the Moose scores at least one td to help the Panthers go 2-0. The Bungles may have the NFL’s only Spanish numeric named wideout but if they only get the ball to him 2 times a game then the only significant number they will end up with will be a big fat 0 as in 0 wins. The Titans are defensively a very good team, but they have Kerry Collins at the helm, which could go either way. Ill give the game to Tennessee as their defense is too organised to fail, but it will be closer than many think. Judging by week 1 when the Falcons Michael Turner and Jerious Norwood just went crazy running all over the Lions, it could be a monster week for Packers RB Ryan Grant. Lets not forget Aaron Rodgers though as he has taken the pressure if the Wisconsin faithful on his shoulders and helped his team to victory. The Lions have the ability to put up 300 passing yards every game, but the Packers veteran cbs Woodson and Harris will prove their ProBowl status in this contest and the Pack go 2-0 without that old qb – what was his name ??? This is the acid test for the Bills as they can show if they are a legitimate playoff contender. Jacksonville will be mad after the loss to Tennessee last week, and will be determined to show that their running game is their strength. Buffalo have shown they can play well in all three phases of play, and Trent Edwards is the cemented starter. I just have a feeling that the Jags will be out to show to their home fans that the 2008 season is not over before it starts. Oakland are in a bad place at the moment, and I’m not talking about the black hole. This battle between two 0-1 teams will mean that there will be some scrappy play and plenty of trash talking. Damon Huard steps back in as the KC qb and his veteran composure will shine through against a Raiders team that is determined to self destruct. JaMarcus Russell and Darren Mc Fadden will try but this could be another ugly season for the Black n Silver. Wow – one of thee teams will go 0-2 – not what anyone expected. On the surface it looks to be an explosive game which could go either way, but when you realise the Colts are in a dome, and Marvin, Reggie and Anthony are gonna be on the field then it is a case of sticking a fork in the Vikings. AP will run hard but I am still not convinced by Tavaris Jackson, hell give John David Booty a go behind center !!!! Not a lot of predicting needed here – the Giants are just too well polished to fall to a painfully poor Rams team. Brandon Jacobs is a real wrecking ball of a back and Plaxico is looking to get a Pro Bowl berth as well as a second consecutive appearance at the big dance. Steven Jackson has been promised more carries, but the Rams may be abandoning the run early again. The Saints are riding high after a significant win against the Buccs in week 1. 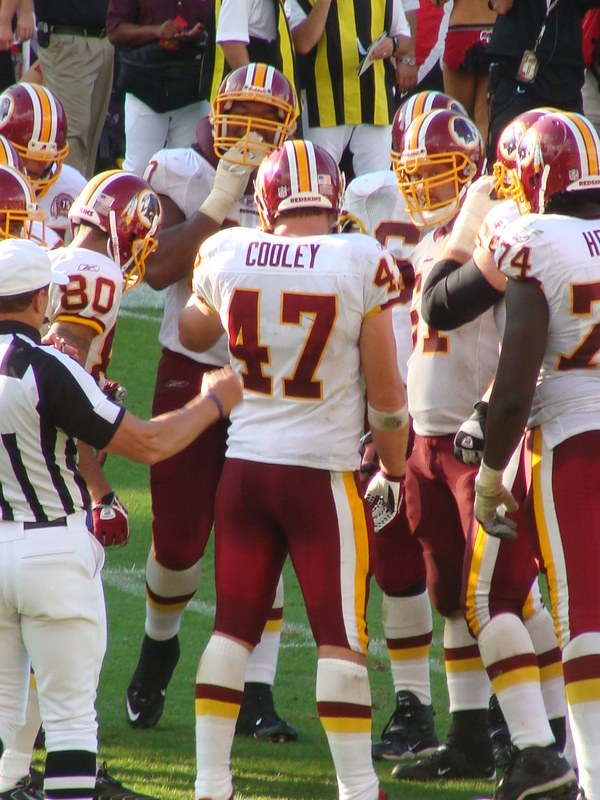 The Redskins looked bloody awful against the Giants and one more nightmare from Jason Campbell and we could see the calls for backup Todd Collins to take the helm. The Saints will miss Marques Colston as the number one target, but I have a feeling David Patten will come back to haunt the team that let him rot, with 80-100 yards and a score. San Francisco will not want another 0-2 start to a season and nor will Seattle. This is an opportunity for Frank Gore to show he is a top 10 back in the NFL, but the stage will belong to Matt Hasselbeck who will bounce back from a horror show in week 1. Plus with Seattle at home even Frasier Crane will be waving his Seahawks pennant after the final whistle blows. Tampa will be bringing their A game as the Falcons come to the Florida sunshine in an attempt to go 2-0. Only problem is the Buccs D is a whole lot better than the Lions D and this time Matt Ryan will not simply spend the game handing off to Michael Turner or Jerious Norwood. My prediction for some scorers – howabout Earnest Graham on the ground and Antonio Bryant catching his first td of the season from Garcia. As I said last week Chad Pennington is going to help the Fins, but they still need to establish the running game – something that Ricky Williams failed to do against the J-E-T-S. Kurt Warner is rolling back the years and will again go over 250 yards, and throw a minimum if two touchdowns. Cardinals always flatter to decieve but they can make a real impact this season if Kurt keeps hold of the pigskin. The Chargers will be seething after their opening day loss (on the last play of the game) and despite Jay Cutler and the rookie of the week performance of Broncos wideout Eddie Royal, San Diego will come out on top. The Broncos are going to be contenders this season, but a big ol dose of LT will be just about enough for the Chargers to get back on track. So we are now going to welcome in the Matt Cassell era ! Lets be honest you dont go 16-0 without the WHOLE team being excellent. Lawrence Maroneys is still running, Moss and Welker are still catching and the offensive line is still intact. The Jets will be many people’s favourites with ol greybeard steering the Big Apple boat, but I’ll say it here the Pats will remain ruthlessly efficient and win this game with a healthy margin of victory. The Steelers look good already, and Willie Parker is on fire. Look for this to continue against the Browns who are gonna play hard but are gonna fall. Braylon Edwards needs to have a big game and the running game needs to get going. The Steelers will be led by Big Ben who will look to target Santonio Holmes, seeing as Hines Ward will be double teamed. Its only week 2 but this is a very important game as Romo and McNabb duel to show who has the best sword skills. It looks to be the game of the week, with two highly skilled offensive teams matching up to go at each other all game long. I’ll tip the Eagles to get an upset victory with Philly looking to get to TO and his Channel Tunnel like gob. Westbrook to get two more touchdowns – including the winner on a short catch. Have fun this weekend with week 2 ! Someone posting on my blog this week made the remark that the New Orleans Saints had an impressive outing running the ball in Week 1 after I put in a post that two backs that both got around 5o yards on the ground each was not exactly setting the world alight. I stick by that, but I did say at the time that Reggie Bush could legitimately catch 150 passes in a season. Bush is creating a position that is almost unique, a dumpoff back that is gameplanned to be dumped off to as a first resort by Drew Brees, not a last resort after seeing a primary and secondary target man marked. I call him the best wide-back in the NFL ! It got me thinking who is the best catching running back in NFL history (past and present combined) ? 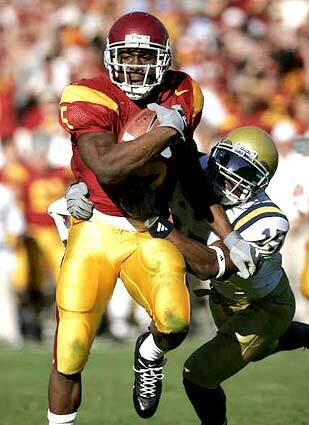 Where does Reggie Bush fit in ? So what do the numbers tell us ? Well if we extrapolate Reggie Bush’s season average over a 10 year period then you have Bush at 810 catches and he becomes the all time greatest catching running back in NFL history. Both the Chargers LT and the Eagles Brian Westbrook have proved over a longer period that they are true dual talents both running and receiving – Westbrook has two 1,200+ rushing seasons to add to his catches and LT has a mind blowing 7 1,200 yard + ground yard seasons. Reggie Bush is in my opinion not a #1 running back but he is an All Pro wide-back – maybe I have given Reggie a title that matches his talents ! He is not a 1,500 yard running back but he is a 1,500 yard a season gainer (not even including his punt returns). Who do you think the best wide back is in NFL history ? Ok I missed my prediction on the Giants v Redskins game, but I did stay up until 4.00am in England to watch the game, and then leave for work 4 hours later. I noticed quite disturbingly that the Giants managed 0 receptions to their tight end Kevin Boss, and apart from one endzonelook in the 1st quarter Boss managed to do a big fat not a lot. Redskins TE Chris Cooley was right up there with Boss in terms of a non-descript game, with just one catch. Someone needs to get that ‘rabbit in front of the headlights on a freeway’ look shaken from Jason Campbell’s face, and until that happens I think that the Redskins are pretty much doomed to mediocrity for the 17th consecutive season. The Bills are best described by many as a dark horse for a wild-card spot, but I don’t think that will be the case, I would more likely describe them as a grey donkey, nice to pat on the head but seriously lacking the ability to run with the thoroughbreds like New England and San Diego. Seattle are missing Previous Superbowl MVP Deion Branch and wily veteran Bobby Engram, instead relying on young wideouts. U-G-L-Y you ain’t got no alibi you ugly – not exactly a showcase for the NFL’s finest here in Georgia. Rookie 1st round pick Matt Ryan makes his Falcon debut, handing off to new Atlanta tailback (and lifetime backup) Michael Turner. The Lions will be licking their lips with DeAngelo Hall gone and Calvin Johnson and Roy Williams revving up for a spectacular season. Kevin Smith the new Lions RB will be one to watch and he may break 100 on the ground in his debut. Its Ocho Cinco time baby ! Despite looking like he went 12 rounds with that mutant 7ft Russian heavyweight boxer Bengals QB Carson Palmer should find himself with an opportunity for an upset. With the Ravens going to another rookie QB Joe Flacco to start the season I have a feeling Baltimore will come out of the gate a little slowly. Willis McGahee is banged up and the Ravens D may have lost that mystique by the end of this one. All signs point to Rocky town for this one, with Donovan McNabb once again able to find his TE LJ Smith in the red-zone. Brian Westbrook if he stays healthy should be in line for an NFL MVP award, and rookie DeSean Jackson the former Cal wideout should provide a spark. The Rams have Steven Jackson back in uniform and Marc Bulgerback at QB but the Rams D will still be vulnerable, even with #2 pick Chris Long at DE. LV correct – 1-3 – Note got Philly score exactly right ! Houston showed signs of becoming respectable in 07, and with the welcome return of Andre Johnson at WR it could be the Texans first winning season. Pittsburgh added another talented running back in the draft – Rashard Mendenhall as a rocket propelled backup, but there are offensive line question marks. This will be a chance for Big Ben Roethlisberger to show why he gets paid the big bucks, Texans will make it a fight though. Both teams will see anything but an AFC Championship appearance a failure, and both will be looking to establish the run before launching any rockets in the sky. Vince Young the Titans QB is only a few steps away from being a top 10 performer. David Garrard needs to prove he can go 16 games and keep his INTs low for a second season. Jacksonville’s running game to settle this one in an old fashioned slugfest. The evergreen Jeff Garcia comes to Louisiana with a chip on his shoulder after a first round playoff exit earlier in the year. The Buccs will unfortunately be the ones on the tailgate bbq after they get grilled by Drew Brees and the Saints who will unleash Reggie Bush and Deuce McAllister and a big ol dollop of Marques Colston along with relishing the thought of seeing Jeremy Shockey in Black and Gold. LV correct 3-4 – Note got New Orleans score exactly right! Hmmmm lets spare the analysis on this one. Bill Bellicheck will have the Pats so hungry they may end up spying on the hot dog and candy floss stalls in the pre game warm ups. Look for KC to give a bit more fight than many experts say but for the Pats to win in style. Even Sammy Morris should get 50 yards and a score. Can anyone get through an opening week blog without mentioning the F word ? and I’m not talking Gordon Ramsay swearing in the kitchens of Florida. Look for Chad Pennington to get the headlines in this encounter, and he gets the Dolphins back to basics, ball control, accurate passing and some leadership at the QB position. The Jets will have the attention of the world at the kickoff, but the respect for Pennington will be the abiding memory at the end. Looks like Matt Leinhart is not the saviour after all as Kurt Warner gets the start and the Cardinals again look to have a good season and a playoff place. Look for Arizona rookie RB Tim Hightower to get on the scoresheet and for the 49ers to look bloody awful. Face it if any of the other 31 NFL teams announced that JT OSullivan was their starting quarterback the first thing you would do is laugh. JT has done an amazing job to get the gig in Frisco, but any sensible coach will get Frank Gore 25-30 touches as a priority. LV correct 5-5 Note I did predict Tim Hightower to score ! Carolina welcome back Jake Delhomme from an injury lost 2007, and despite Steve Smith missing out the Panthersshould be able to compete wih a solid running game. The win however belongs to the San Diego Chargers who will want to be all business in the first half of the season. Rivers will throw no more than about 20 passes as the Chargers look to chew up the clock with LT, Sproles and even Jacob Hester getting some carries. The Cleveland Browns bandwagon is still pretty full after Derek Anderson inspired his team to prominence. The 2008 season will not have the fairytale ending to it in my estimation though, as Dallas will pour vodka in the punch and drop dog food in the trifle and escape from Ohio with a big W. Everyone is talking about the strength of Marion Barber, but the Cowboys masterstroke is the drafting of RB Felix Jones who has more speed than Keaunu Reeves holding a bag of bowling balls after falling out of an aeroplane. The only positive the Chicago Bears can get from this game is to reminisce that the last time they met was in the Superbowl. Indy will dominate this game from their first possession, which I will bet will result in a touchdown. Marvin Harrison will be wanting to show there is life in the old dog still, and Dominic Rhodes will be back in his favourite colours of blue and white. If Chicago muster 21 points ill call that an upset by itself. Two quarterbacks with big question marks over their heads – Aaron Rodgers in his first start and Tavaris Jackson looking to show that he truly belongs in this league after an up and down 2007. Can either live up to their expectations ? I don’t think either will be the biggest factor of the game as it will be up to Ryan Grant and Adrian Peterson to show who is the top young running back. AP to win this particular battle. The Raiders are trying to build a team of young and spirited world beaters, but I can’t see them winning against a Broncos team that every year show they know how to do the most important thing – run the football. With Brandon Marshall out week 1 that will give the Raiders some relief, but the Broncos have the offensive line intelligence and the shutdown cornerbacks to leave California with a victory.